It is my honor, as the Basileus of the Eta Omicron Graduate Chapter of Omega Psi Phi Fraternity Inc., and on behalf of my brothers to welcome you to our website. Since 1947, members of the Eta Omicron Chapter have focused our talents on improving the quality of life within the Albany/Dougherty community. While brothers’ names and faces have changed over the years, the end result has always been and will continue to be the same; focusing on our Cardinal Principles, Manhood Scholarship Perseverance, and Uplift. For those familiar with our chapter, you know of the high standards we strive to achieve in meeting the needs of our community. We ask that you continue to support our service, social and charitable endeavors throughout the year. Some of the initiatives that we will be undertaking are; our annual Strokes for Scholarship Golf Tournament, the Charles Drew Blood Drive, and the Robert Sampson Omegalympics. We are also keenly aware that our youth are the future and so we have developed a very strong and active mentorship program via our JLCC (Just/Love/Cooper/Coleman) Mentoring Program, which is geared towards the development of young men, ages 10 to 18. It allows us to provide positive leadership and activities to assist them in becoming future leaders. Again, welcome to our website. Should you need any information or would like to collaborate with the brothers of Eta Omicron, please feel free to contact myself or any of the chapter brothers. Bro. Robert Sampson transitioned to Omega Chapter on Thursday, November 30, 2017. He was survived by his wife, sons, and brother David. He had one brother who preceded him in entering into Omega Chapter. “Big Samp” was initiated into the Omega Psi Phi Fraternity, Inc. through the Mighty Chi Epsilon Chapter at Albany State College (University) in Fall 1981. Big Samp served the fraternity faithfully for 36 years without fail. He was an active pillar of the Eta Omicron Graduate Chapter in Albany, GA. Bro. Sampson served as Chapter KF and Achievement Week Chairperson. His absence from the body leaves an incredible void that must filled not only within the chapter, but also in the hearts of all who knew and loved him. 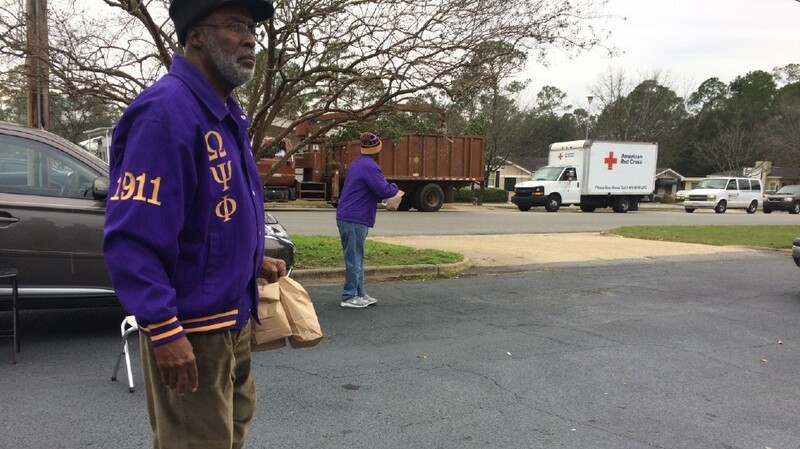 The Omega Memorial Service was held on Tuesday, December 5th at 19:11 pm at the Omega Psi Phi, Eta Omicron Chapter Fraternity House, located at 1620 Oakridge Drive in Albany, GA. Funeral services for Bro. Robert Sampson commenced on Wednesday, December 6th, at 10 am at Mt. Zion Baptist Church.